Occasionally, honey bees may use a wall void or attic space in a house as a nesting site. In these situations, the decision to take action depends upon the circumstances. Here are some common questions asked by people who discover bees nesting within their home. Q: Are there other house-nesting insects that might be mistaken for honey bees? 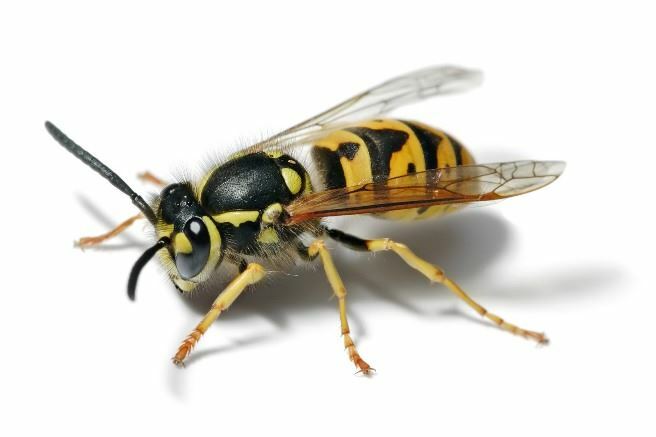 Answer: Yes, Yellow jackets and hornets sometimes build a nest in a wall cavity, as do honey bees, and many people are not able to distinguish the two insects. The difference is important because yellow jackets and hornets do not build wax combs, do not store honey, and their colonies die out each year by winter and are therefore much easier to eradicate. Q: Will the bees cause any damage to my house? Answer: NO. Honey bees will do no structural damage to a building. 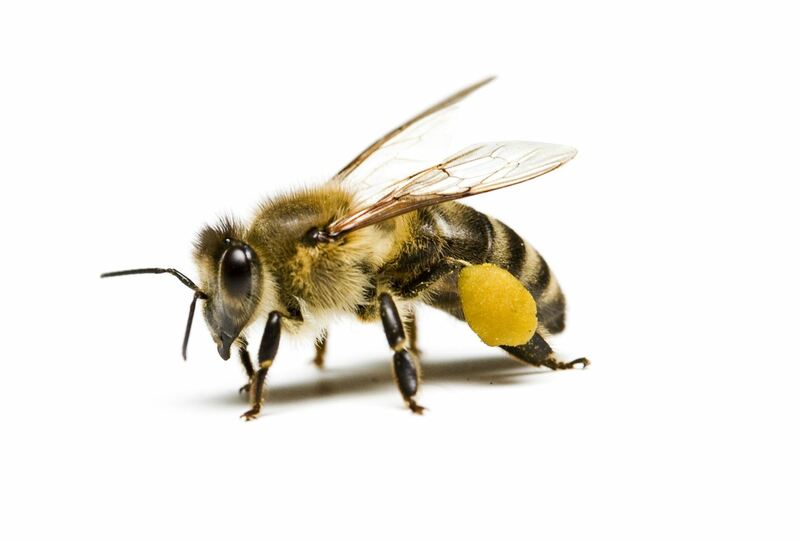 Unlike other pests, such as termites or carpenter bees, honey bees do not chew or eat much wood. Some people choose to leave the colony alone and have had bees inside a wall for many years. We suggest have them removed but if you do decide to exterminate them, any large quantities of honey left behind should be removed to avoid staining and fermintation. The honey and wax comb may also attract other bees, insect pests and rodents. Q: When did they move in? Answer: When a colony of honey bees splits by swarming, part of the original colony leaves to seek a new home. 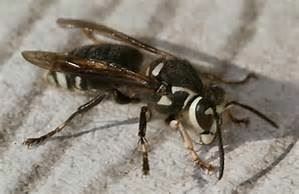 Swarming occurs mostly during the months of April and May. If you notice bees for the first time in your house after spring, chances are that they were a spring swarm. Bees can survive in a home for many years since there is extra protection from the structure. Q: Can I just plug up the hole and suffocate them? Answer: NO. If the entrance hole is plugged, the bees will look for another exit. They may find another crack or opening or they could follow light and enter your living quarters instead through gaps in baseboard, electrical outlets or vents. So plugging the entry is rarely a solution. Q: Can a beekeeper come and take out the bees? Q: Can the bees be trapped out or made to leave? Answer: Yes, this is called a "Tap Out" and can only be done when bees are active in spring or summer. Trapping out is a good alternative if the bees can't be accessed or requires too much demolition to remove. Understand that the wax comb is not removed. This approach not only takes beekeeping skills and construction knowledge but requires experience with trapping out bees. The last step in a trap out is to have the bait hive rob out honey left behind. This is done by bait hive bees or other neighboring bee colonies. Q: Is it illegal to kill honey bees? Answer: Not if they are in your home. Although many pesticide labels include warnings to avoid spraying flowering plants or crops outdoors where honey bees are likely to be foraging for nectar and pollen (e.g., in a garden or planted field). In those situations, it is important to obey the labeling to help protect the bees. However, when bees invade a home, or a colony is a threat, you have the right to remove them (preferably) or to kill them if necessary. Soapy Water is the least toxic way to kill bee's it basically suffocates them. However, this is not practical in getting them out of your home. Q: Why isn't simply spraying the bees sufficient to solve the problem? Answer: A honey bee colony within a wall or ceiling can be killed with an insecticide by the homeowner or a licensed pest control operator. Our experience is it is very hard to get the insecticide in the right place to kill the whole hive. Even if you can, if the bees have been in the wall for more than a few days, wax combs and honey may already be stored within the wall. The longer the colony has been there, the greater is the likelihood that large amounts comb and honey have accumulated. There may be as much as 40 to 60 pounds of honey within a wall or ceiling by the end of spring. The remaining honey and wax will either attract another swarm of bees or pests like small hive beetles and wax moth and honey can drip and run down the wall or ceiling. So it should be removed after the bees are killed in the best way possible. The challenge is for the person who has to remove the comb and honey without being exposed to the insecticide. Again we recommend a cut out or trap out. Q: How do I kill a colony? Answer: We would prefer you don't, but if you must do your homework and insure once you have killed the hive protect yourself from what you used to kill the hive as you will need to open the space and remove any comb, honey and dead bees. Once the bees and nest material have been removed, fill the void with insulation, caulk and close off the entrance so that future swarms will not be attracted to the same cavity. Our experience is you must review your house for other entry points as future swarms can smell the old wax comb even if removed and that void is filled any other voids can be potential home for future swarms. Q: Why didn't the spray kill them? Answer: The insecticide must contact the colony to be effective. Sometimes the nest area is not close to the opening. Try to locate the exact nest area by tapping the wall and listening. If necessary, a quarter-inch hole may be drilled into the wall to introduce the insecticide. In this case use a pesticide product that has a "crack & crevice" tool (a straw-like attachment for the nozzle that allows you to inject the chemical into the void). We suggest you leave this to professionals as they would know best what to use given the situation.